ABC Television. 1961. Producers: Michael Charlton, Bob Raymond. Music: Robert Maxwell. ""Four Corners" Theme". (1:58). 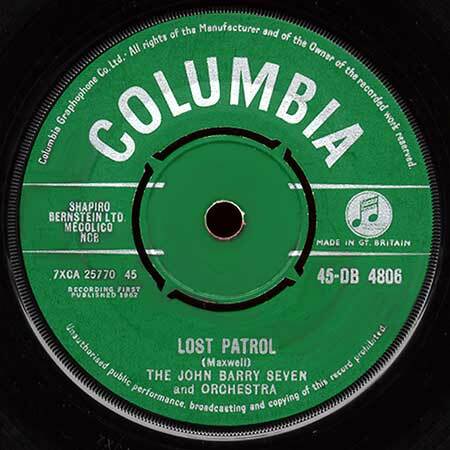 (Lost Patrol). (Maxwell). 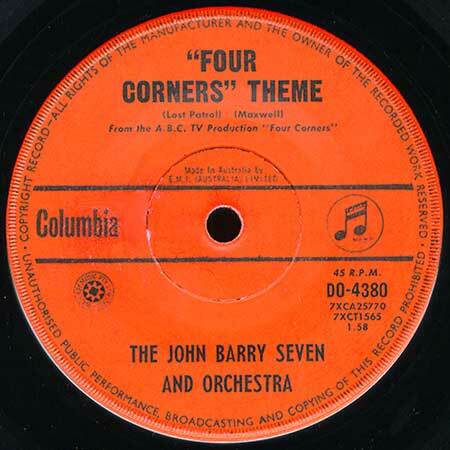 The John Barry Seven and Orchestra. CA(t) (ST) ABC. ISBN 0 642 17948 4. 1996. 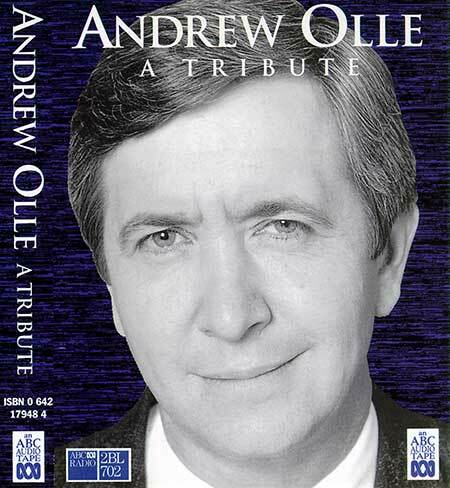 "ANDREW OLLIE A TRIBUTE". 45(a) (OP) Columbia (UK). 45-DB 4806. 1962. "Lost Patrol". (Maxwell). The John Barry Seven and Orchestra. 45(a) (AD) W&G. Custom. (Specially recorded for Lawrence Dry Cleaners). 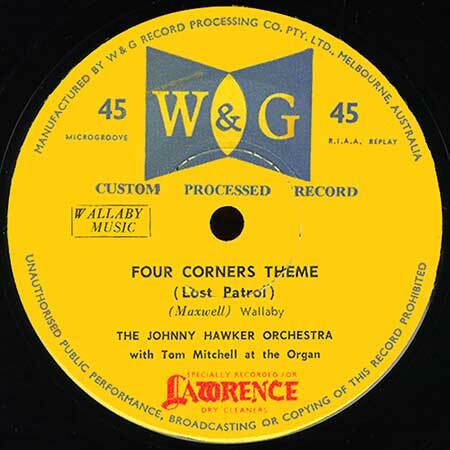 "Four Corners Theme (Lost Patrol).". (Maxwell). (Wallaby). The Johnny Hawker Orchestra with Tom Mitchell at the Organ. EP(t) (OP) Polydor. EPH 60012. (Picture sleeve). "4 ALL-TIME GREAT INSTRUMENTALS!". S2-Tk1 "Four Corners Theme (Lost Patrol)". (2:12). (Maxwell). (Wallaby). Oberst Nicholson. LP(t) (ST) (See COMPILATIONS - AUSTRALIAN TV's GREATEST HITS: S1-Tk22). 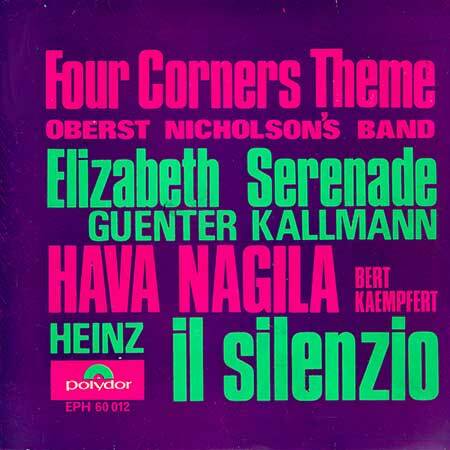 CD(t) (ST)	(See COMPILATIONS - ABC TV THEMES: CD2-Tk05).